1. Food – Amazing…Mind Blowing! 3. Worth It – If this is not Value For Money, I donno What The Heck is!! 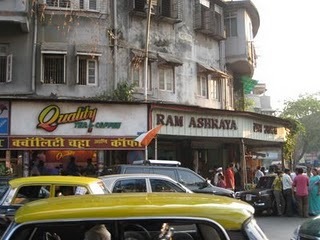 Ramashray ! Doesn’t sound very “Fine Dining” types, does it? Well, Don’t even expect anything like that (or even close to that for that matter)!! Ramashray is a through and through South Indian Cuisine restaurant! Don’t expect even the “F” of Fancy!!!! The Ambience is not even worth mentioning! But guess what? The Food, ONLY THE FOOD, more than makes up for it! So much so, that even if you reach there at 6 am, there will be a long line of people waiting before you! Such is the power of FOOD no?? Ramashray doesn’t have a Menu Card! Yet, their Menu is much more extensive than most of the places you will ever go to! 2. 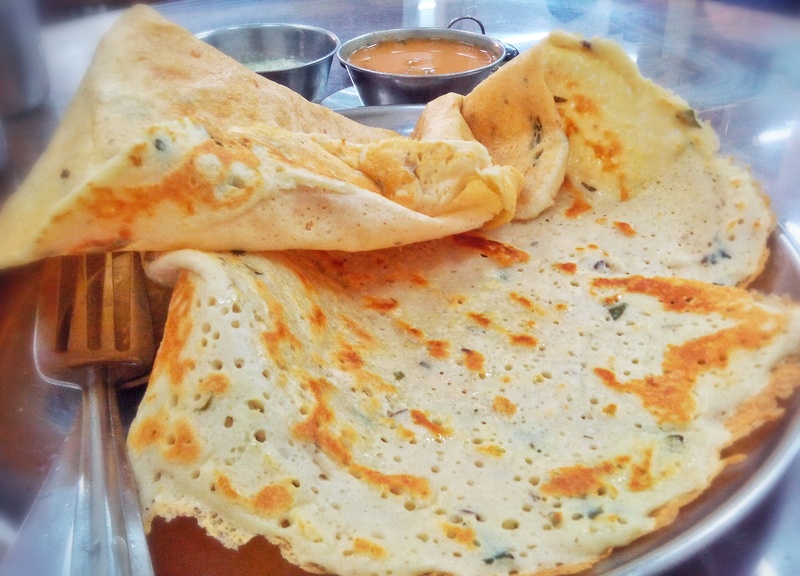 The Ulundu Dosa – An Ulundu Dosa, is a Dosa made out of Urad Dal. 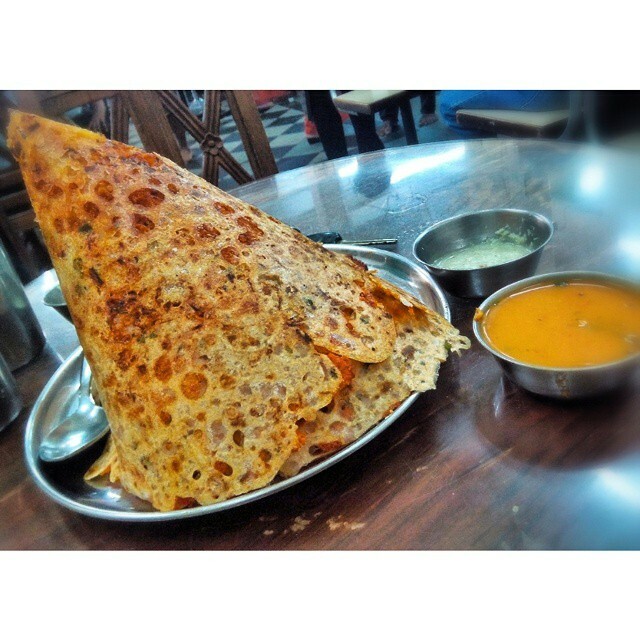 Though it is pretty nice and very healthy, I Would suggest that you just forget about Calories and have the Rava Dosa!! 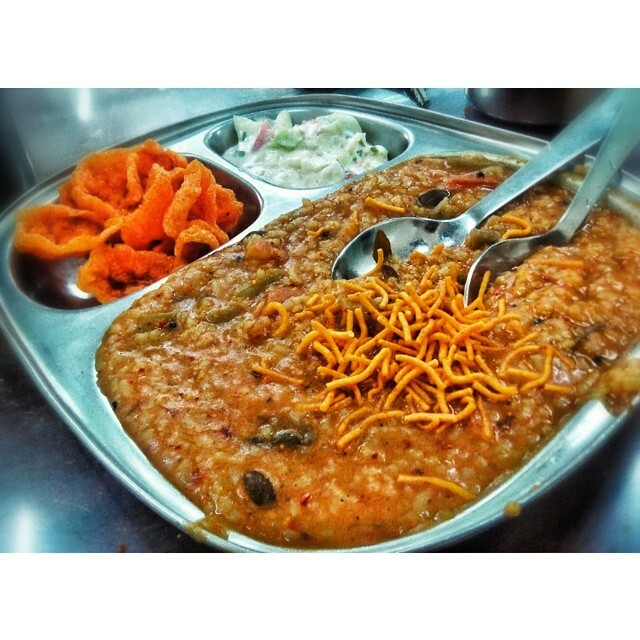 Ramashray, is extremely famous for its Bisi Bele Bhat!! 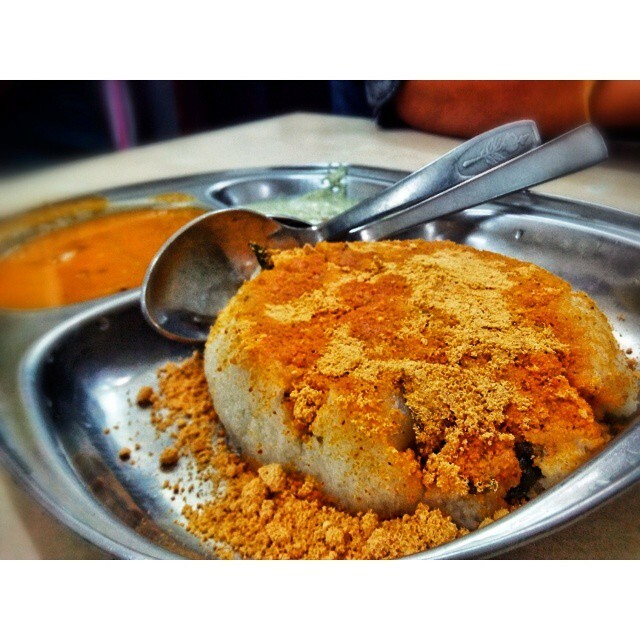 Bisi Bele Bhat is a traditional south Indian dish, where white rice is cooked with lentils, spices and tamarind! The Bisi Bele Bhat here is perfectly sour and hot! The beautiful flavours of the ghee, nutmeg and curry leaves, come through extremely well in their preparations!!! This comes along with tiny fried crispies and a yogurt salad! Whenever I get a chance, I make sure I go and eat this here! This amazing dish is priced at …. Wait For It… 40 Rupees!!!! PS . They run out of this by 6.30 pm….ALWAYS!!!! Last, but in NO FRIGGING WAY the least is the Filter Coffee. I am a huge Starbucks loyalist, I agree I am!! But i can vouch for the fact that, Nothing!! No coffee in the world can beat this one!! Refreshing, strong and so so aromatic!! I can never stop on One Coffee!! 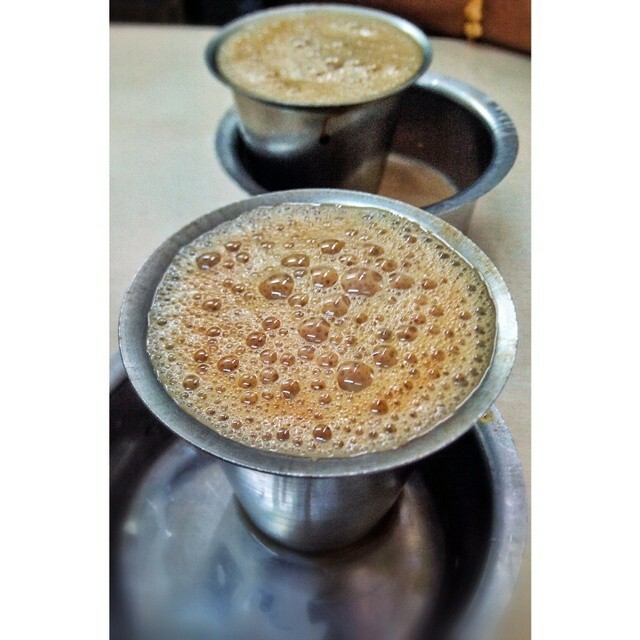 Getting out of Ramashray without having Filter Coffee, deserves CAPITAL PUNISHMENT :P!! THE AUTHOR REVIEWED ANONYMOUSLY AND PAID FOR HER OWN MEAL.